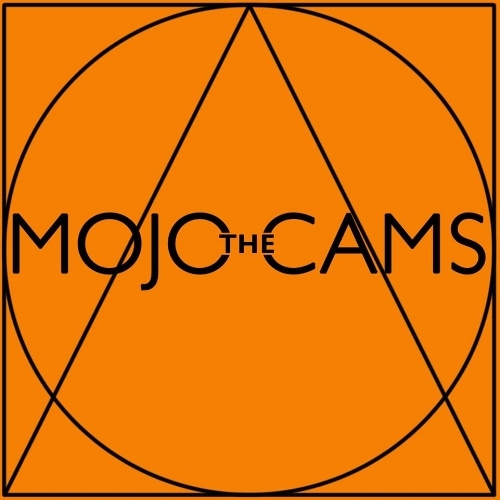 about his musical moniker, The Mojo Cams, and how that came to be. He talks about his David Bowie-inspired project, Nebula Tuesday, and the latest song from it, These Are the Days – he reveals a few albums that are especially important to him. I ask Bull about combining literature and music together and whether there is a natural connection; what he has planned coming up and what his favourite musical memory is – he ends the interview by selecting a great Kate Bush song. I’m doing okay, thanks. How are you? I’ve been getting out and about and enjoying the early autumn mornings the last week or so. The amazing colours of the trees and the falling leaves seem to make me want to reminisce.. I’m hoping it will inspire me to write something. It’s been such a very busy time with non-music stuff recently so it’s really nice to take time out and have a chat with your good self about creative matters! 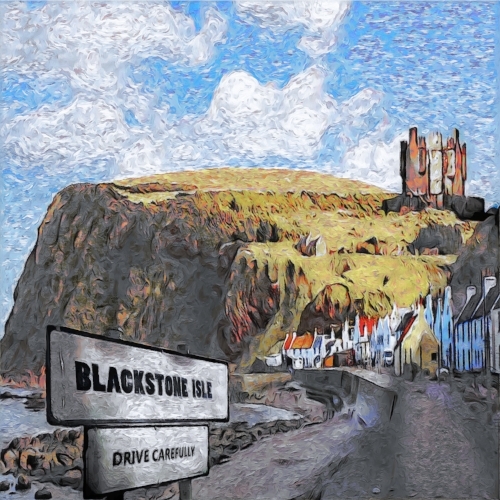 I am a songwriter and composer with a keen interest in digital art. I love to get artists together to develop new songs and recordings. I like to produce music via collaborations and conceptual ideas. The Mojo Cams is my vehicle for delivering this music. Can you talk about Nebula Tuesday and what it is about? When did the idea come to you? The idea came to me shortly after David Bowie died. Nebular Tuesday is essentially about how we treat the ‘others’ in life: how we view strangers and outsiders who don’t see the world the same. It is also about injustice and truth. In the initial stages, I was developing an idea for a concept album. I was also looking to reflect the changes in the cultural and political climate. It started off and remains, thematically dark. I wanted to speak about the blighted concept of ‘fact’; the rise of the populist right and xenophobia. Nebular has grown its own arms and legs now. It’s a fully-scripted musical story and I’m not exactly sure how that happened. The first track, These Are the Days, sets the story. Were you inspired by particular films or books regarding the story arc?! Absolutely. I was thinking about The Wicker Man and all its weirdness and spooky isolation. The setting and the feel were a definite colouring of my vision for Nebular. I also had Straw Dogs (the original) in mind - to express the terror of the outsider in the story. Might we see another project like Nebula Tuesday in the coming months/years? Do you feel there is a natural link between music and literature - and should more musicians create form a literary viewpoint? Well. There is a link, in the fact that songs are essentially literal due to the words and concepts of lyrics. Great lyrics often set dramatic scenes, tells stories and explore themes in a very concise and clever way. Writing Nebular; I found that matching a lyric to a dramatic scene and storyline can be somewhat limiting and, conversely, a focus for ideas. I had never really tried writing songs in this way before. The lyrics had to be described through the eyes of the characters in the story and confined by their motivation and situations. This forced me into a new way of developing words. Should more musicians explore this? Well, I quickly realised that it was definitely something I should have been doing all along. It was creatively liberating in the sense that I could say things through a character that I could never say personally. Artists who write for other people must experience something similar. Overall though, I feel that music is most relevant when it explores an empathic and emotional narrative. When the listener is captured, immersed and taken on an internal journey then I suppose they are experiencing music in its purest form. Whatever device a songwriter or composer uses to accomplish this is absolutely fine by me. It is not an easy thing to do. In songs, stories and themes will always play a part. I am looking at taking Nebular towards a full stage/screen production. I also have other projects on the go that promise to take up all of my time. I’ve met loads of famous people. Muse, U2. Very cool experiences. I’ve had a write up in The Big Issue. Geri Halliwell was on the next page. A big highlight was supporting The Levellers and having Eddie Reader’s son ask for an autograph! For the sound of the guitars - and it sounds like they recorded it all last week. For the spookiness the Mellotron, the vocal and the otherworldliness of it. It’s a seminal album that’s for sure. Because it’s Her Majesty Kate and that is enough. Right? I would absolutely LOVE a two-in-one Neumann 24x4 analogue summing mixer by Vintage Maker. Sorry...you’re none the wiser? Gearhead geek alert! Do you think they will send me one now that I have mentioned them in your interview? In time for Christmas? I would love to support Noel Gallagher. The rider would be beers and a copy of The Beatles Anthology. If everyone is running into the six yard box, head for the wing. Someone might pass you the ball. There may be some conventional gigs in 2019 but, right now, I’m organising a rehearsed reading of Nebular Tuesday in February. ‘Air fàir an là’ means ‘At dawn of day’. It’s a traditional Gaelic ‘waulking song’ and the melody is utterly gorgeous. One of the Sian singers, Ceitlin LR Smith, sings in English on Nebular. Digital painting keeps me off the streets. Sometimes.